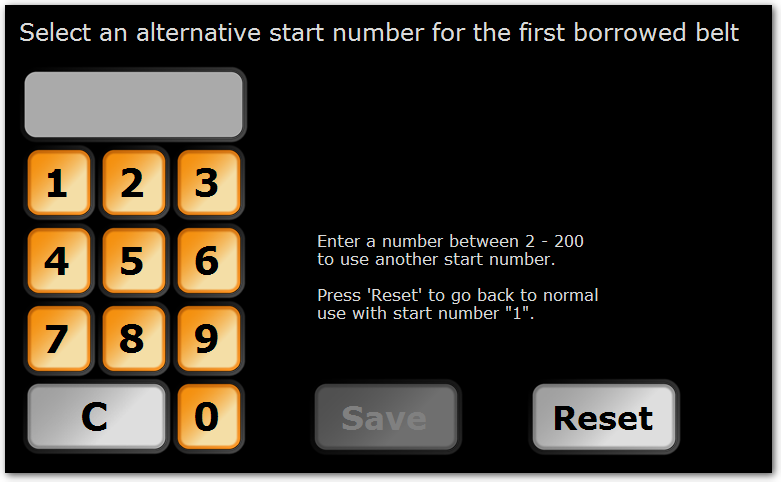 To use an alternative start number for the first borrowed chest belt (and on the first Activio gauge), select the link "Other start number" below the keypad on the main installation view. This need to be done on the first time setup, to change this later the system need to be reinstalled. If the first gauge should use another start number, i.e. number 40, the following numbers follow this start number (41, 42, 43 etc.). To have a system showing number 20-45, select "20" as other start number and then enter 25 users (number of users).